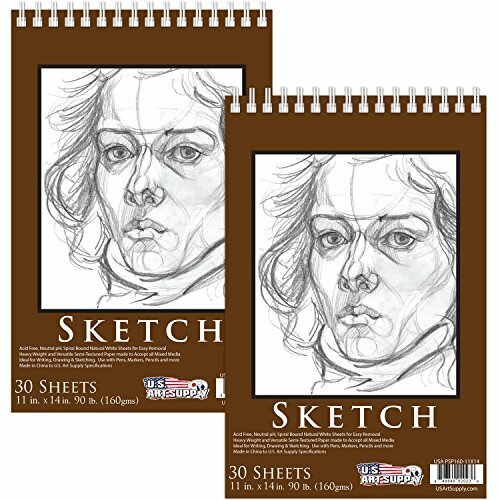 U.S. Art Supply 11'' x 14'' Premium Heavy-Weight Paper Spiral Bound Sketch Pad, 90 Pound (160gsm), Pad of 30-Sheets (Pack of 2 Pads) by US Art Supply at Designers Artists. MPN: PSP160-11X14. Hurry! Limited time offer. Offer valid only while supplies last.